Programmed in relation to the current Ellen Gallagher exhibition at Tate Modern, the Afrofuturism's Others seminar provided an enticing introduction to this cultural aesthetic. Artist and curator Sonya Dyer reports. ‘Even the sky wasn’t the limit’ – Miles Davis on Sun Ra. Who claims the right to generate visions of the future, and how, was at the heart of Saturday’s Afrofuturism’s Others seminar, organised in response to Ellen Gallagher’s current exhibition, AxME, at Tate Modern. Loosely defined, Afrofuturism is a cultural aesthetic embraced by artists to imagine alternative futures and re-examine the past, combining elements of African-diasporic/non-Western cosmologies and science fiction. 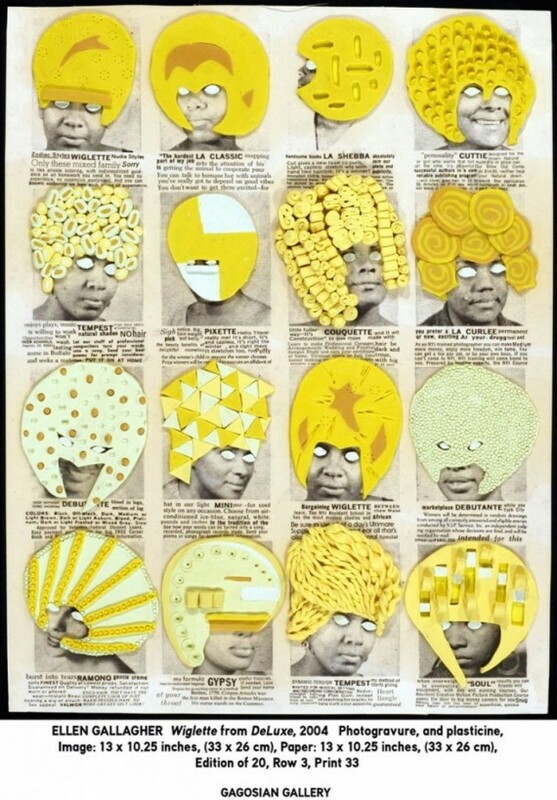 Situating the American artist’s work in relation to Afrofuturism (a term credited to Mark Dery in the 1990s), the seminar widened the frame beyond Gallagher to incorporate other artists and practices, from writer Octavia Butler to electronic music group Drexciya, Jean Genet and Sun Ra. The U.S-born, UK-based curator Zoe Whitley posited the notion that one does not need to be of ‘Afro’ descent to be ‘Afrofuturist,’ opening the field to consider the work of artists including Larissa Sansour (who is Palestinian) and Lahore-based Mehreen Mertaza. She argued that the UK’s history of political (Afro-Asian) Blackness made this a less radical proposition here than in the US, with its particular history of deterministic subject formation. Whitney’s assertion also highlighted the short sightedness of recent curatorial imperatives towards disassociating from Afrofuturism (as evidenced by last year’s Super Power: Africa in Science Fiction exhibition at Arnolfini, amongst others). It was thrilling to hear mention of my favourite film, John Sayles’ The Brother from Another Planet, as well as the modern British classic, Attack the Block. Whitley’s description of Afrofuturism as a “toolkit for outsiders” struck me as particularly elegant. The final speaker, French artist and writer Lily Reynaud-Dewar, charmingly combined spoken word and images to explore her own practice through the lens of her engagement with Sun Ra, Jean Genet and Christopher Isherwood. Her featured work involved her mother’s recollections of attending a Sun Ra concert in France in 1970 (memory-aided by Google search). The images shown of the resulting performance featured her mother dressed in a Sun Ra-esque costume, in the middle of a gallery in Basel, its stark white-boxness highlighting her colourful attire. Mothers and memories – echoes of Carby’s presentation. There was an excellent question from the audience at the end, about the lack of African voices in the seminar’s version of Afrofuturism. Also missing from the discussion was an engagement with contemporary speculative fiction beyond Butler, particularly from Caribbean writers such as Nalo Hopkinson, Tobias Buckell and Junot Diaz. Contemporary music could also have held a more prominent place. For the uninitiated, this event was an enticing introduction to some of the key intellectual streams in the genre – a good place to start, spurring further investigation. It was particularly exciting to have such a feminist take on the subject. As someone who has been engaged with Afrofuturism since the 1990s, whilst incredibly stimulating the seminar was perhaps too brief. It seems churlish, however, to complain about wanting more out of a two-hour event. What is needed is a one or two-day conference to fully delve into the diversity of Afrofuturist thought in the arts. This requires more voices, and more speculation from those who dare to imagine that there is a future, and that they themselves can create it. Sonya Dyer is a London based artist, arts consultant and writer.